This year's events have proved the most successful ever with over 6,000 people vsiting the various venues in Tameside, many from outside the borough. Newton Hall had twice as many visitors. The weekend had started with a talk by Alice Locke at Dukinfield Town Hall about the beginnings of Stamford Park followed by a hotpot supper. 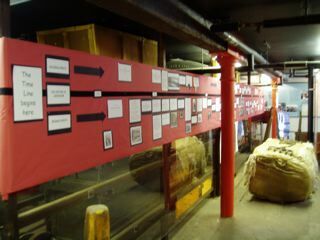 Particularly of interest was the increase in the number of guided historical walks. 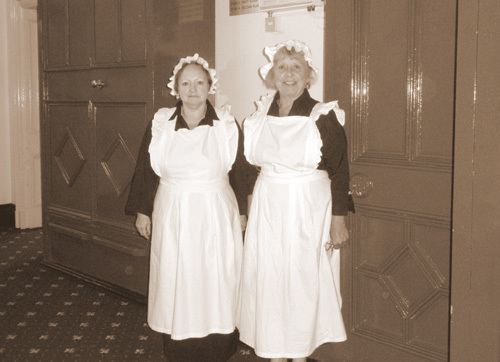 Audenshaw Historical Society - servants at Ryecroft Hall. 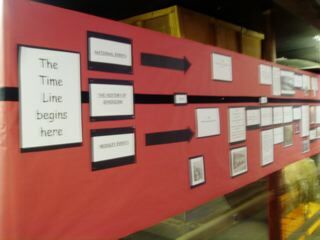 Mossley Industrial Heritage Centre's theme of Schoodlays Timeline. 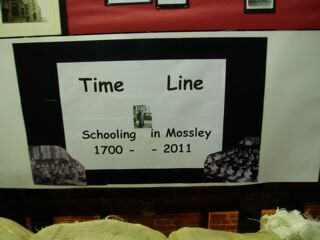 Time Line on Mossley Schooling and the Mossley Hollins School band that launched proceedings on the Thursday with Cllr John Sullivan, The mayor of Tameside and Cllr Val Carter the deputy Mayor of Mossley. 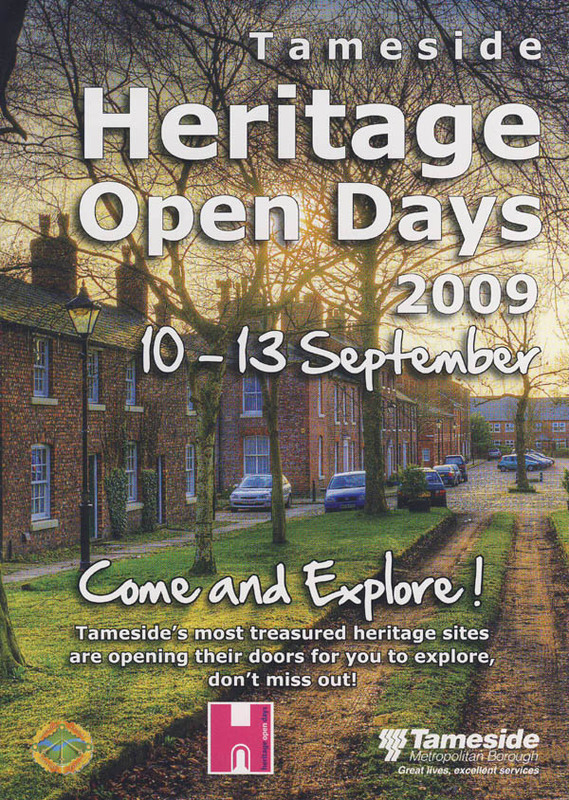 Pick up a leaflet at Tameside Local Studies and Archives Centre or at Tourist Information in Ashton Town Hall or click here to open a pdf document showing the venues open in Tameside. Scroll down the page to see several other places not listed in this document. 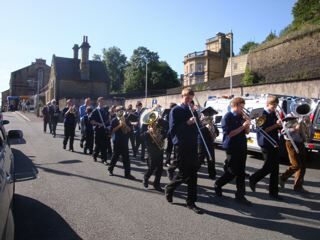 You can also visit the English Heritage website to find out which venues are open nationwide. 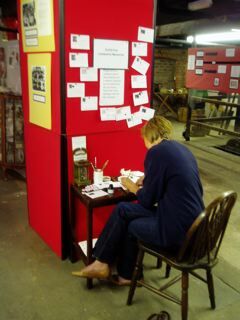 Tameside Local Studies and Archives Centre - open Saturday 12 September at 2.00pm for a children's tour and activities. Theatre Royal Hyde - open Friday and Saturday 9.00am-16.00pm for guided tours. 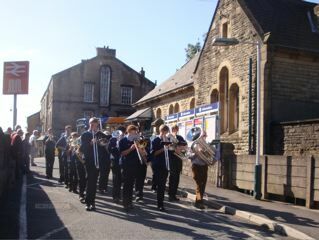 St John's Roughtown Carrhill Road Mossley - will be open on the 12 September 10am-6pm with a display about the spires past and prsent.